LOS ANGELES—John Leach, the English cimbalom player who gave such film and TV scores as The Ipcress File, King Rat and The Persuaders! their unique sound, has died in London at the age of 82. Leach was a flautist who, in the 1950s, saw a need for educated musicians who could play unusual ethnic instruments. He first took up the cimbalom – a Hungarian hammered dulcimer played with wooden mallets – in 1953 and later added the Finnish kantele, the Arabic qanun, the Japanese koto, Chinese sheng and the Persian santur to his repertoire, assuring him considerable film and TV work in the 1960s, '70s and beyond. Barry's use of the cimbalom in these films, as well as his The Quiller Memorandum (1966) and the BBC series Vendetta (1966), helped to popularize this otherwise obscure instrument. Almost immediately, the sharp, resonating sound of its metal strings began to be heard in other contexts: Lalo Schifrin used it in Mission: Impossible, Gerald Fried in The Man From U.N.C.L.E. and Quincy Jones on Ironside. Leach was born in London in 1931. His mother was Czechoslovakian and, as he said in a 1991 interview in From Silents to Satellite, "most of her relations played the zither." Still, he took up the flute and became quite successful in the 1950s, playing in the Liverpool Philharmonic, the BBC Northern Orchestra in Manchester, and the London Philharmonic. He taught music at the Beirut Conservatory from 1957 to 1960, then gave up the flute and was cimbalom soloist in the Vienna Philharmonic's recording of Zoltan Kodaly's Hary Janos suite in 1961. He played Igor Stravinsky's Les Noces, at the composer's request, in Berlin in 1969. 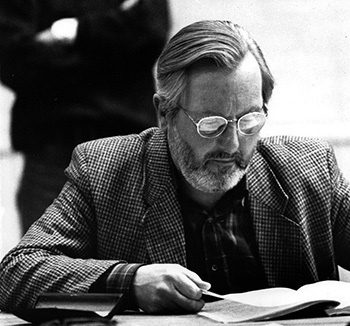 Leach was also a composer who wrote considerable music for documentaries in the 1970s, and (under the pseudonym "Janos Lehar") for music libraries which licensed tracks out to various productions. One of those, a piece called "Sun Ride," became the theme for a longrunning game show called Ask the Family (1967-84). His playing can be heard in the scores for Ryan's Daughter (Maurice Jarre, 1970), Fiddler on the Roof (John Williams, 1971), The Man Who Would Be King (Jarre, 1975), A Passage to India (Jarre, 1974), Gandhi (George Fenton, 1982), The Jewel in the Crown (Fenton, 1984), A View to a Kill (Barry, 1985), Cry Freedom (Fenton, 1987), Dangerous Liaisons (Fenton, 1988), Shadowlands (Fenton, 1993), and Swept From the Sea (Barry, 1997). Fenton, a former student of Leach, said "he was a superb musician, and the instruments he played, whilst being fresh, were also full of character. He was someone with 'weird instruments' but, unlike some who perhaps gravitate towards the unusual because they can't really compete with the usual, John was a fantastic all-round musician. As a person, he was wonderfully eccentric, capable of putting both feet in it, sometimes with disastrous consequences. London is full of top-drawer players who owe him their start, so many whom he mentored and encouraged. I am one of those." "He was a very nice man, very charming and very professional," said composer John Altman, who used Leach on numerous commercial sessions in the 1970s. "He did an awful lot of library albums, and they're still what people turn to when they need a specific sound. This was in the pre-synthesizer days," he said, and before sampling took the fun out of recording with offbeat instruments. Edward Milward-Oliver, who is writing a biography of Ipcress File author Len Deighton, remarked: "I vividly recall sitting in his London home two years ago, listening to him pick out those distinctive notes on the very cimbalom he played in the CTS recording studio in February 1965. Just as I was leaving, he mentioned that when living in Beirut he had known socially the now notorious British double agent Kim Philby." 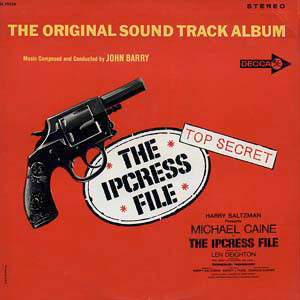 Aside from taking center stage as soloist in The Ipcress File, perhaps Leach's biggest hit was John Barry's theme for The Persuaders!, which reached no. 13 on the British singles charts in late 1971. Tony Curtis and Roger Moore starred in the ITC television series as wealthy playboys who agree to help a retired judge (Laurence Naismith) right wrongs throughout Europe. 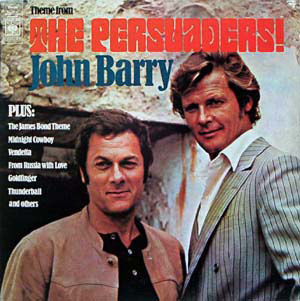 This writer asked Barry about his Persuaders theme in 1993. The composer recalled: "I always went for an intensely individual shot right off the top. A sound that would grab you, very distinctive and very memorable. You have to capture that audience within, hopefully, the first four bars." So, as he had often done before, he visited John Leach. "I wanted a strange sound, and I went over to his place. He had all these weird instruments; you couldn't get in the room for instruments. He took out this particular one [Barry couldn't recall what it was] and it had a strange scale. It was not a chromatic instrument and I loved the sound of it, so I wrote [the theme] according to this weird scale." But the Persuaders theme also has one of the most unique sounds of any TV theme, and unraveling its specifics was not easy. While working on a Barry profile for Variety in 2008, I called Leach and asked him what he remembered about the experience. He was very kind and asked me to call back two days later, after he'd had a chance to listen to the record and refresh his recollections. Leach was very specific during our second conversation. He had been in Paris, performing a Stravinsky work for cimbalom, when the call came from Barry in the summer of 1971. "We were great friends. He came to my old house, where I had masses of instruments, several times. We got on very well together. I owed a lot to him, because he was the one that really put me on the map in a commercial way. The recording session was fitted around me in July." That surprising sound, he revealed, was achieved by overdubbing four instruments, all playing the melody: "I played cimbalom and kantele. Hugo D'Alton played mandolin and mandola. The backing track was done. The first track we put down, Hugo played mandolin and I played cimbalom; on the second overdub, I played kantele and Hugo played mandola. John wrote the notes; if the notes weren't possible, I retuned the kantele and dropped them in. That was done very quickly; I just played along with the track. We went away, and it was mixed; I only heard the finished product weeks later." The Persuaders! theme, in 3/4 time, also featured keyboards, Moog synthesizer and rhythm section. "I recorded it at George Martin's studio," Barry recalled in 1993, referring to the original AIR studios in London's Oxford Circus. "Although he's not credited with anything, George actually hung around the booth when we were doing it and made one or two suggestions in terms of balance and little gizmos. He's like a kid with a sand castle when he's in the room there. It was a rhythm section but with lots of reverb, a lot of studio effects around the sound." That very specific sound has never been duplicated and owes much to the singular musicianship of John Leach. Leach died May 25. He is survived by two children.